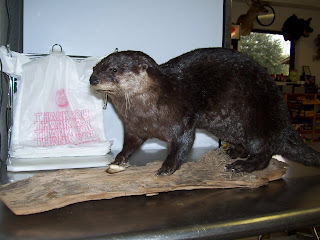 Look at this big otter mounted by Cordray's Taxidermy. 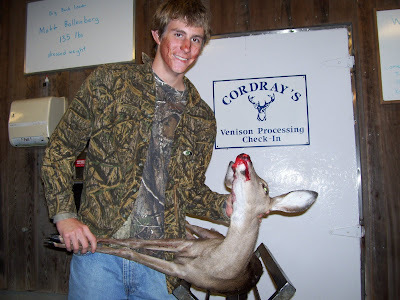 KC Hodgkiss got an 8 point for his first deer! 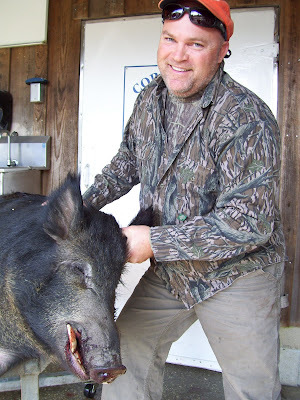 Rusty Winters got a big boar! 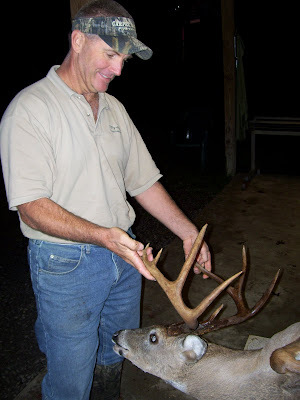 Steve Parham got a 10 point buck weighing 167 lbs. 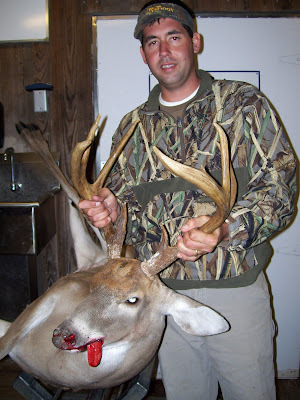 Charles Rooke with another big buck! Feeling nostaligic? 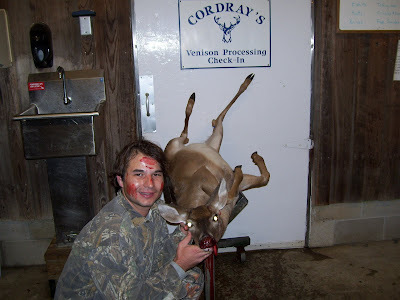 Deer hunting photos back to 2003! Click on the title link above to go to our archive page. 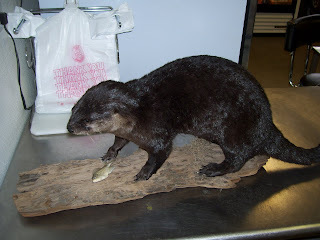 It shows Big, Bad, and Unusual photos all the way back to 2003. Orders ready for pickup! Anything brought in Monday, Nov. 9th or before is ready! 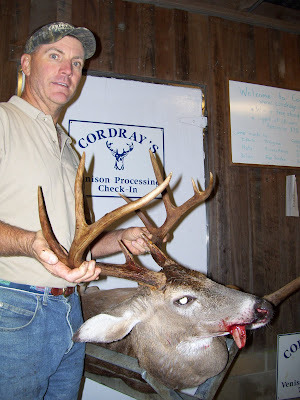 Mike Cochran's buck had 7 points. 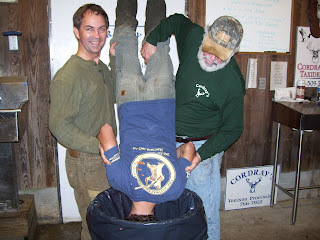 John Hofford brought in an 8 point. 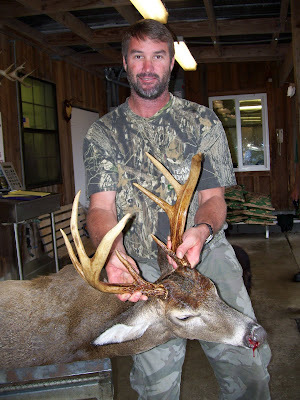 David Prince's buck had 8 points. 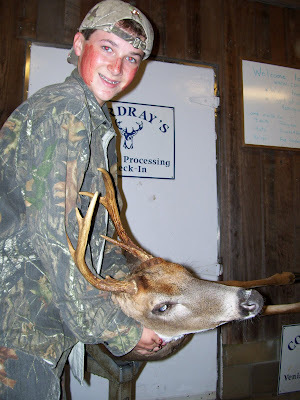 Bubba Grimes brought in his first deer at 108 lbs. 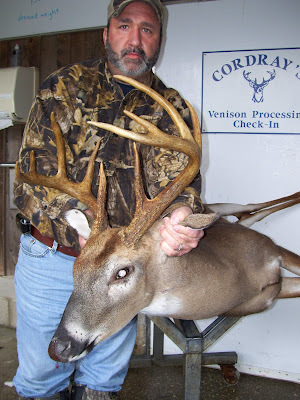 Brian Mizzell brought in this nice buck! 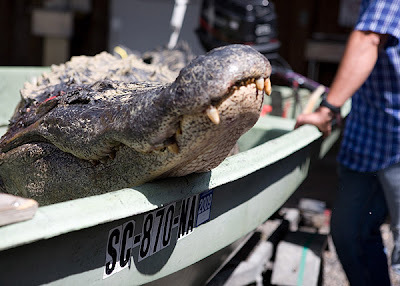 Is this an alligator's version of a crocodile smile? Ryan Kirkland doesn't have room to add much more to the place! 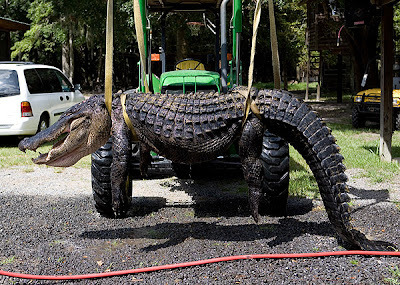 These are more photos from the 850 lb alligator taken last year. 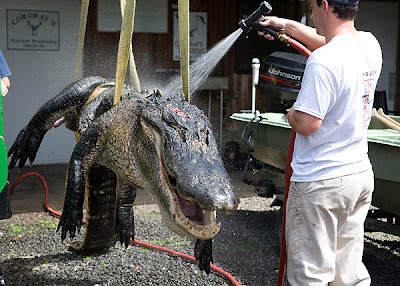 For more photos go to Sept. of 2008 or search alligator is the search box above. DEER ALERT! They are walking tonight! Any time we have in 6 deer before 6:30 pm, they are moving! One guy said they saw 30 as they rode out of their place. 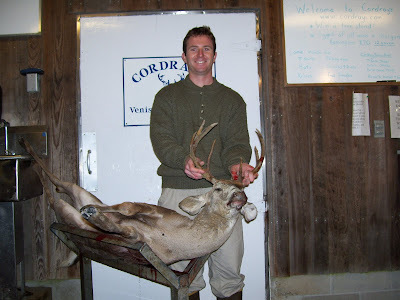 We always see lots of deer coming in after a few stormy days. The lower temps will help, too! 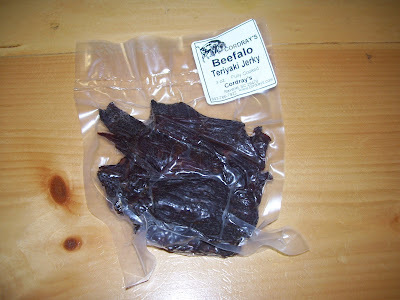 Beef Peppers 'n Cheddar's back in stock! 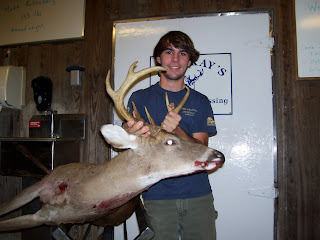 Brett Barnes brought in his first buck. It had 7 points. 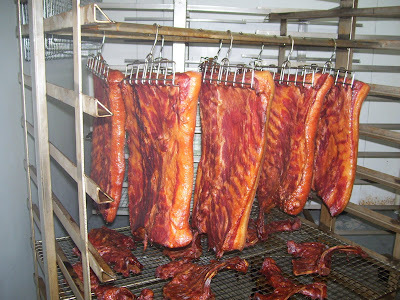 Applewood smoked bacon hot off the smoker! 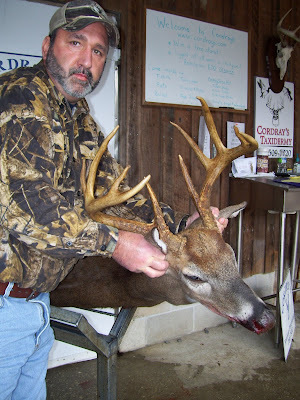 Steve Leasure brought in this 9 point. 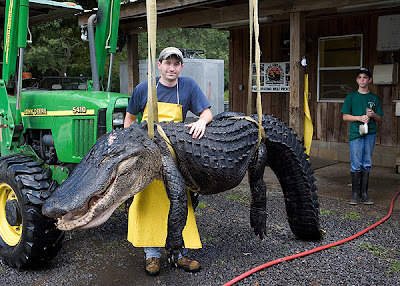 It measured 19.5 inches on the outside and 17.75 inside. 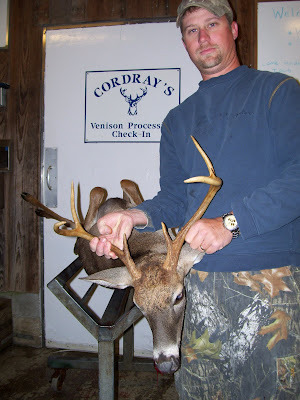 Tristan Cordray with a VERY big guy! 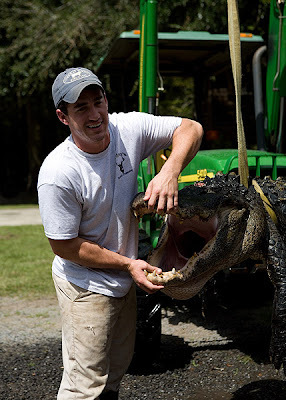 My son, Tristan, is a dentist in St. Stephen. You can read about his practice in the ads to the right. 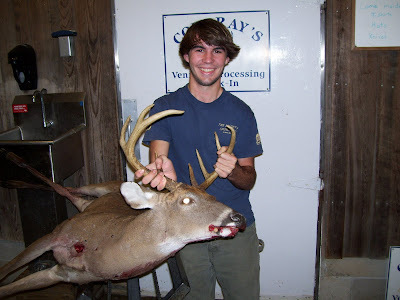 He was helping us out the morning the big one came in. In the background is my nephew, Lewis Vaughan. 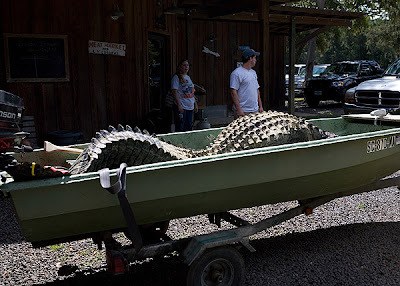 Got an email from a friend who got a tweet from Blue Ion who said that Charleston Angler had us on their blog - Check it out! 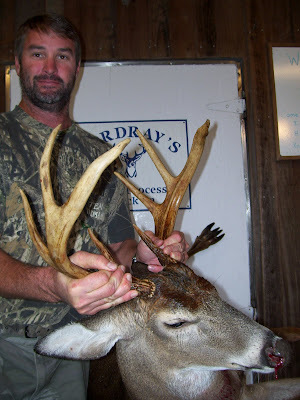 Paul Bailey proves that the big bucks like this kind of unsettled weather! 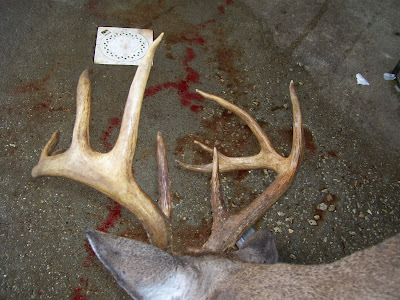 This buck had 8 points and weighed 160 lbs. on the hoof. 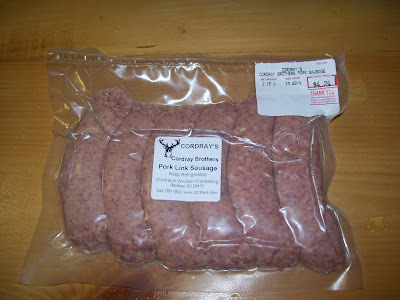 Fresh Cordray Farms Beef and Grooms Farm Pork ready in the case! Hope this post finds you getting ready to plan for the Thanksgiving holidays ahead! With plenty of football and family, maybe we'll all just pretend we're not having summer weather! 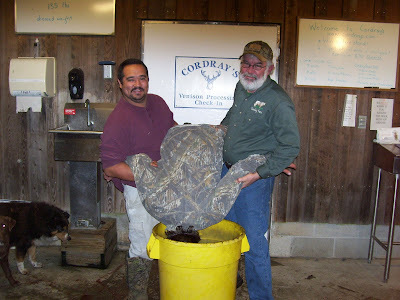 We have 3 Cordray Farms Beef shares ready for pick up on Monday, Nov. 16th. Contact us to reserve yours. 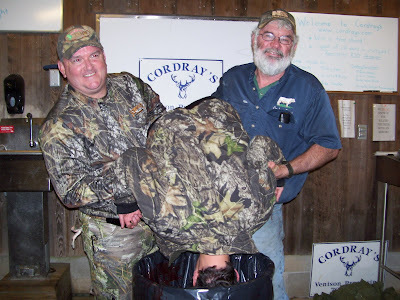 We're taking deposits ($20 per ham) now to smoke your hams for Thanksgiving or Christmas Dinner. 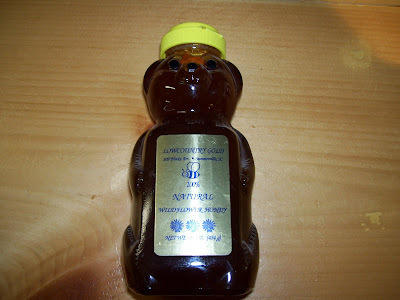 They'll be 15 to 18 lbs each and will cost $2.69 per lb.,so about $45 each. If you don't see what you're looking for here, give us a call. 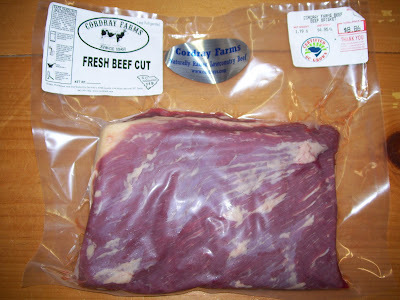 We have frozen cuts, too, but I can't type that long list! 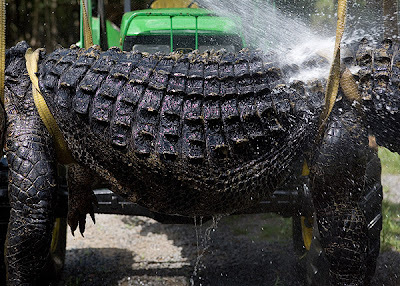 Wild Hogs love nasty weather! 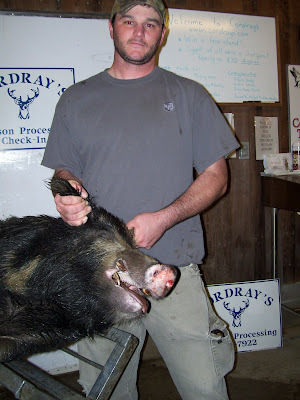 Andrew Tenneson got this big boar to mount. 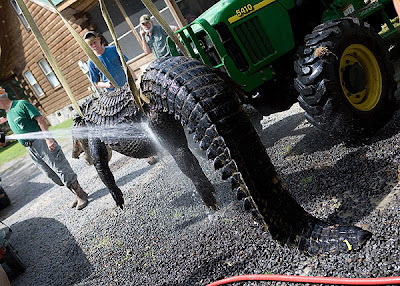 Big gator pictures are all about perspective! 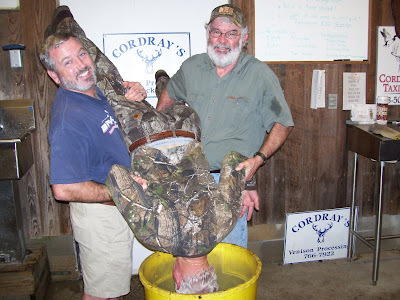 Joseph Bostic got his deer, a 7 point, and was dunked with the help of Jonathan Compton. 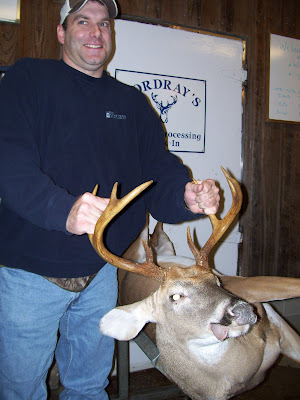 Robert Richardson is perhaps our most mature Hall of Fame Inductee at 60 years old with a 6 point! 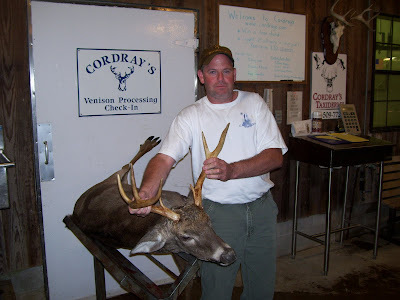 Adam Infinger got inducted into the Cordray's First Deer Hall of Fame! Join us in supporting FHFH! 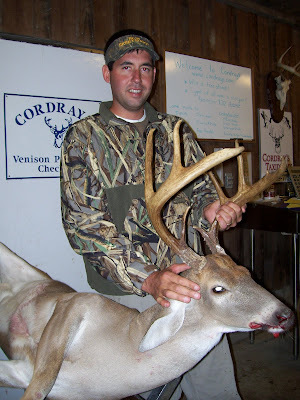 All you have to do is drop off your deer and sign in with your name and address. 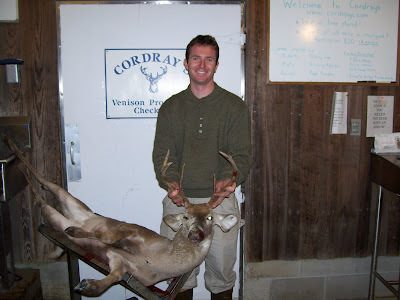 We'll prepare your venison to be picked up by local food organizations to help feed the less fortunate among us. 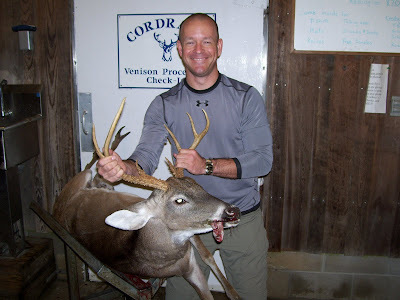 Last year you provided over 1200 lbs of nutritious venison to the Low Country Foodback! 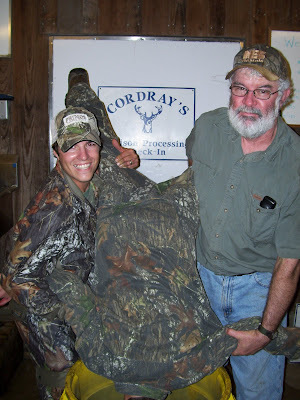 We also contribute meat to Dorchester County Meals on Wheels and many other charitable organizations. We appreciate FHFH's valuable sponsorship of this program. Click on the photo to read this month's newsletter and find out more about their program. 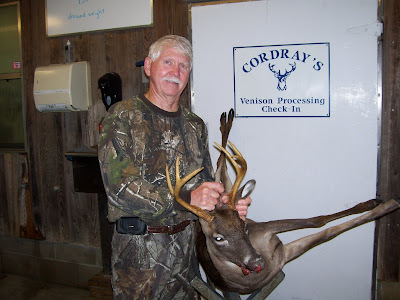 Instead of hanging up the gun when your freezer's full, bring your deer to Cordray's and we'll be sure it gets to those in need. 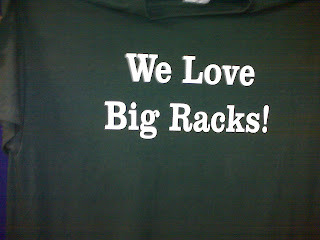 We Love Big Racks! T-shirts back in stock! 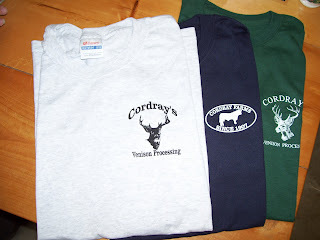 Stop by and get a Cordray's T-shirt for $14.95 for short sleeve or $15.95 for long sleeve. 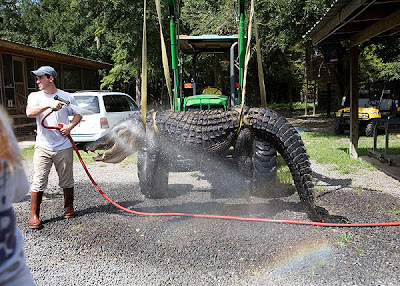 How do you wash an 850 alligator? 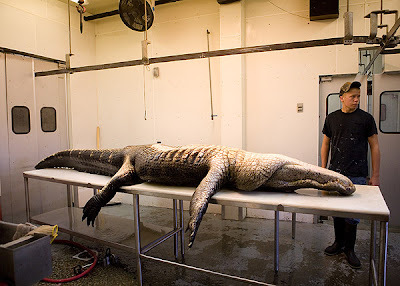 These are photos from the big alligator that we got in during last year's season. These were never published, but you may have seen some others that have been going around in emails. 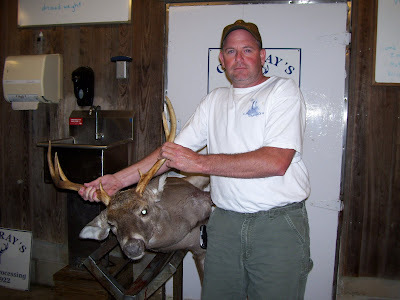 Jeff Jewell brought in a 4 point buck.